Genuine Trinitite Sample - A Relic Of The First Atomic Bomb!! 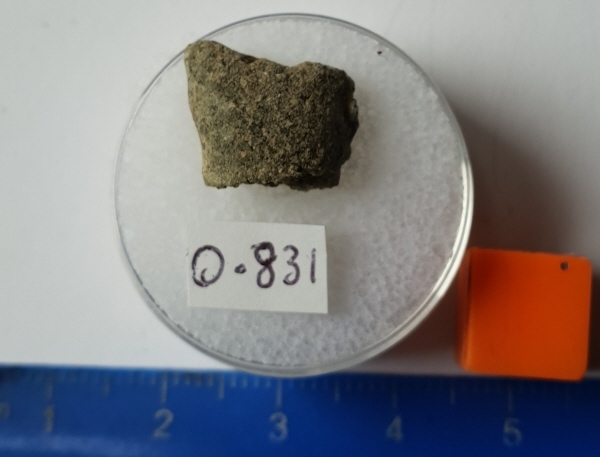 << Back Genuine Trinitite Sample - A Relic Of The First Atomic Bomb!! This is an incredibly rare but genuine piece of Trinitite. The sample weighs 0.831 grams - measures 1.5cm across at it's widest point - and comes boxed in a padded gem jar. This is a great opportunity to buy material that is now INCREDIBLY hard to find. There are so few suppliers anywhere in the World I would suggest you buy this now. It will not be around for long, and then will never be seen again! 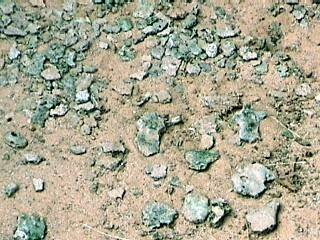 Trinitite is the most amazing substance. 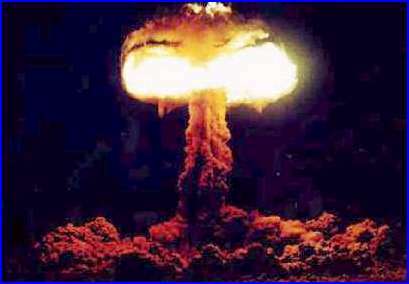 it is essentially a form of molten glass created from the intense heat released by the early Nuclear test. it is both rare, and highly sought after and I am one of VERY few people on Earth who has any supplies. I bought mine directly from the largest supplier of Trinitite some years ago. he has now sold his entire collection and stocks are now incredibly low. 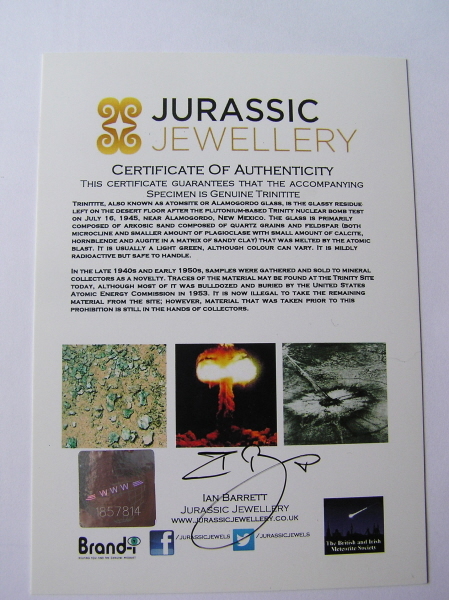 Any piece you buy will come in a padded gem jar and with a signed certificate of authenticity with details of the Trinity tests and Trinitite. I will also send you an A4 copy of a report on a piece of my Trinitite carried out by a scientist at Nottingham University. This is a technical report but may be of interest to the buyer.